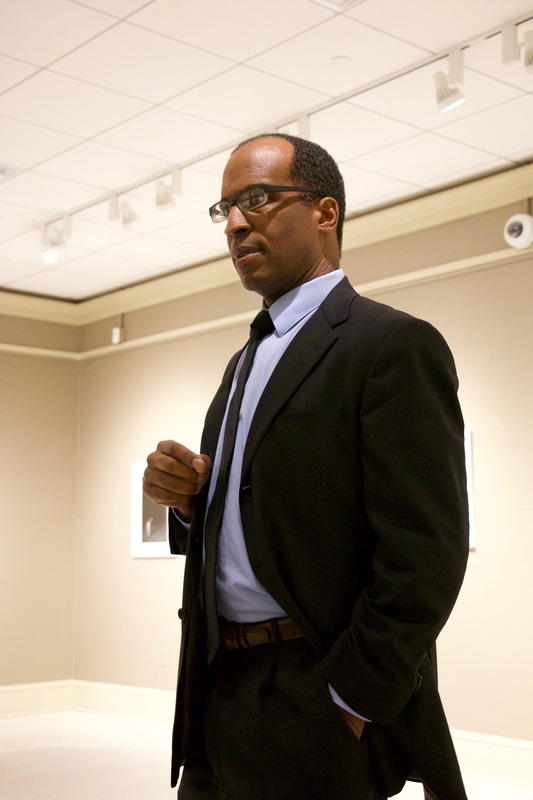 On Feb. 24 at the Reece Museum, the Africana Studies Department presented a one-man play titled “Malcolm X,” starring professional performer Phil Darius Wallace. “Malcolm X” is a play about the life of civil rights leader, Malcolm X. Malcolm grew up as an orphan and had a rough past. Later in his adult years, he turned to crime and was frequently arrested. It was during his time in jail that he discovered the religion of Islam. After six years in prison, he visited Elijah Mohammed, who led a civil rights group that advocated separation of races. Malcolm eventually became an Islamic minister and made a trip to Mecca, an important religious site in the Islamic faith. Seeing people of all different races together praying opened Malcolm’s eyes to human equality. This realization caused him to change his ideals from Elijah Mohammed and start his own civil rights group. In 1965, Malcolm was killed by other black Muslims who still agreed with Mohammed. The play began with Wallace reciting a poem, and he asked the crowd if they had heard of Malcolm X. The opening scene starts on the day of Malcolm’s death, as he asks someone not to check people for weapons. He then addresses the audience again, saying that today was his death day, and he knew people were coming to kill him. Malcolm goes on to recount his life by impersonating the people who he’d met, reciting poems and singing a few songs in a somber tone. I was curious as to how Wallace found this role. Such an impacting character inside a one-man play must have been considered a difficult challenge, especially since he is a widely known historical character. Malcolm X is a play that breaks the fourth wall multiple times. At one instance, at the beginning of the play, Malcolm shook an audience member’s hand. At another point in the play, he took the hand of a girl sitting in the front row and proceeded to dance with her while he talked about his party days in his youth. The interesting structure of the play and the actor’s wide range of abilities were outstanding. From the second he started speaking, Wallace’s deep voice commanded attention from everyone in the audience. When he would impersonate characters like Malcolm’s parents or Dr. Martin Luther King Jr., he was incredibly convincing. I never saw the actor, only the characters he portrayed. Overall, I found “Malcolm X” to be very informative as well as entertaining. I’m glad I got to learn more about a man who has influenced our nation’s civil rights. Wallace did well in accurately portraying the life of a man who has been consistently overlooked in history class.